How has your child exceeded your expectations? 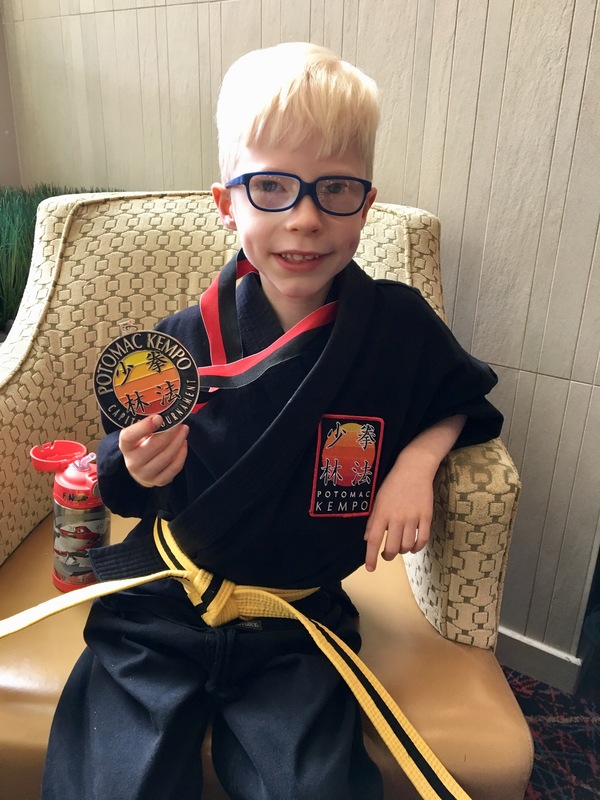 This past weekend, our 6.5 year old son Declan participated in his first kempo (martial arts) tournament. He first began practicing kempo about 1.5 years ago, as we thought it would be great exercise and strength development (particularly to work on core strength! ), in addition to providing a strong sense of mental discipline that would serve him well in all aspects of daily life. Well, we were incredibly amazed when he was awarded not one, but TWO silver medals for his skill demonstrations at the tournament! It was totally one of those “if I’d known then what I know now ...” moments. As we all know, battling low muscle tone is not easy! The same child who works so hard to achieve all of his physical milestones, starting with just working on developing enough strength to drink from a bottle, excelled in a martial arts tournament! We are so incredibly proud of Declan — his hard work and determination and focus is an inspiration to us! What would you say to inspire a parent whose child has recently been diagnosed with PWS? You will be truly amazed at what your child will achieve and accomplish. There is so much reason to hope and dream! !